Research Assistance locating material in the Archives and Special Collections Department. Duplication and Digitization services for archival material. Records Management assistance for Northeastern University offices. All researchers are welcome in the Archives! 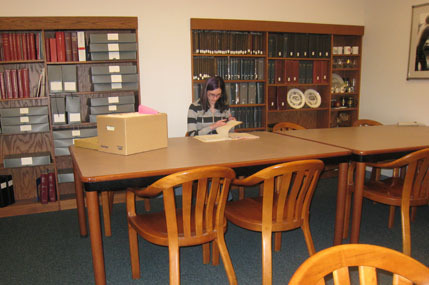 Researcher in the Archives and Special Collections Department Reading Room.